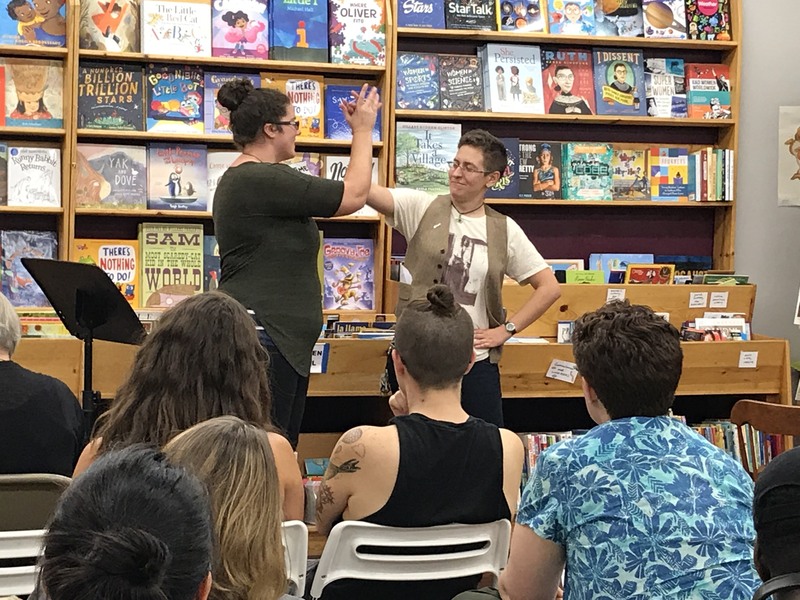 Sappho's Salon is a quarterly performance salon at Chicago's only feminist bookstore, featuring expressions of queerness, gender and feminism. Did you enjoy your summer off, Sappho acolytes? Good, because we need you here in September for one of our most smashing salons yet. First off, fabulous fairy Laura Scruggs will share a heartfelt tale of motherhood. And then, we get, well, academic and artsy with Ames Hawkins, and perhaps even fiery with activist writer Yasmin Nair. With three features, it’s gonna be a hell of a show...and you can be part of it with the open mic too, if you ID as female, trans or nonbinary! Open Mic slots are 5 minutes (a few are 8 minutes, please choose wisely) and participants get a bookstore coupon. Admission is Pay What You Can...but remember it supports the artists and the bookstore’s Women’s Voices Fund (and Yasmin Nair’s coming from Hyde Park, so give generously). Food as always, from the Middle Eastern Bakery. Hosting, as always, from Chicago’s oddest not-couple, Liz Baudler and Eileen Tull.